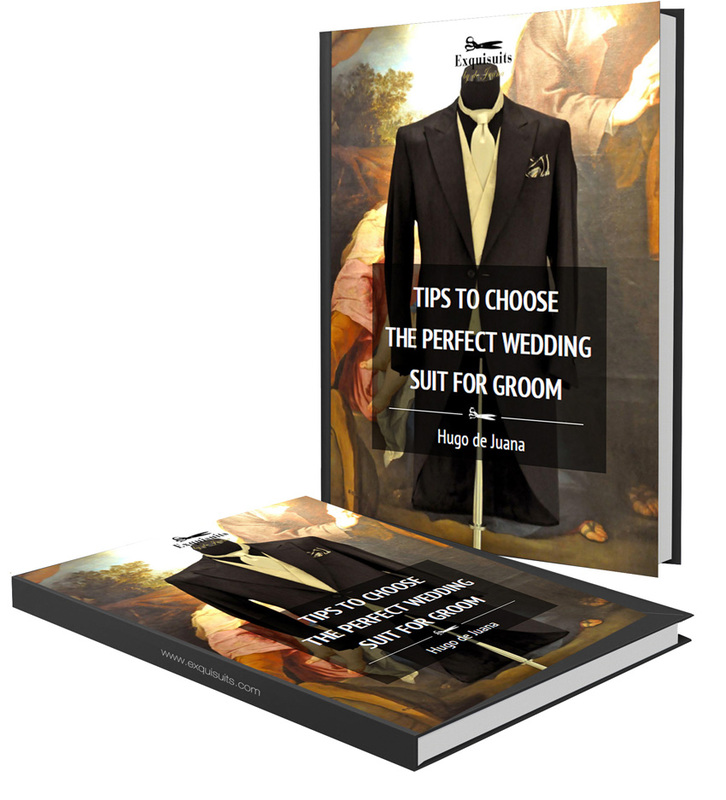 The e-book „Tips to Choose the Perfect Wedding Suit for Groom“vhas been written by Hugo de Juana – Creator of the online tailoring platform Exquisuits and treats subjects like formal ceremony attire (morning coat) and the informal code attire (suit). Focus and goals to look for in the grooms image. Keys of the fabr selection, qualities, thickness, and how to achieve great photographic effects. Most suitable Cut, pattern and colours more for your complexion and features, as well as keys to achieve a distinguised look, garments, accesories and appropriate footwear. Differences between formal ceremony attire (morning coat) and informal dress code (suit). Focus and goals to search in the look of groom’s wedding suit. Fabric selection keys, qualities, and photographic effects. Cut, patterns and best colours for your complexion and features. Keys to achieve a distinguish look, garments, accessories and suitable shoes. 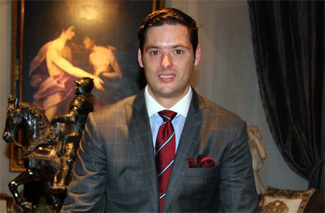 In Javier de Juana Tailoring we have been for advising our customers with their wedding attire for more than 30 years. Now, with the launching of the Exquisuits new line of tailoring, grooms of all over the world contact us to receive advice. To thank for your renovated trust, we have prepared a decalogue of tips that will help you to choose successfully the perfect wedding suit for each one of you. Formed in the family High-end fashion business, from an early age learnt to design and cut bespoke garments, the personal image keys, fitting and core competencies to satisfy the most demanding customers. Among them there are important personalities of the economic, political and social life. The attraction he feels about marketing and a vocational entrepreneurial spirit, led him to create their own projects like the creation in 2005 of the luxury shop e-commerce platform Xelectia-Redes de Excelencia Comercial, in 2010 Xelectia Web Lab as a web design and SEO agency specialized in retail firms and e-commerce. In 2014 he launches with Javier de Juana, President of the Club de Sastres de España, Exquisuits as a high end online tailoring platform.